In previous articles, we discussed how metadata can be used to aid searches and to help secure the repository. Now we’ll show you how metadata can also help drive your organization’s business processes. Starting rules can be configured so that workflows kick off when a field value is changed. For example, the City of Thousand Oaks designed a workflow that starts when the value of the Submitted field does not equal Pending. This workflow is used to processes new agenda items. City of Thousand Oaks’ Laserfiche Workflow starting rules. 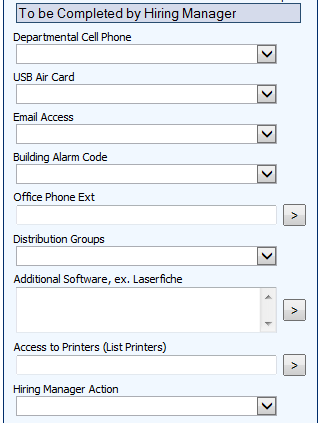 A Laserfiche workflow can also be triggered when a tag is added to a document. The Durham County Department of Social Services uses Laserfiche Workflow to prepare child welfare cases for trial. At one point in the process, an employee tags a document that needs to have certain information redacted before being sent to the court with a Requested Record tag. This action initiates a workflow, which sends the document for redaction. The Tags tab in the Durham County Social Services metadata dialog box. Laserfiche Workflow allows you to route documents based on the change of a field value. For example, the workflow can be paused until someone finishes performing a task. Once it is complete, the employee can change the value of a field and Laserfiche Workflow will then move on to the next activity (such as routing the file to the next approver). Methodist Healthcare Ministries automated its new user onboarding process with Laserfiche Workflow. 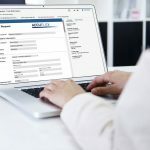 Laserfiche Workflow routes the new user request through various individuals and departments such as the hiring manager, IT technician and Health Informatics. At each step, a specific employee fills out the relevant metadata and updates the value of the Action field when finished. The hiring manager section of the new user onboarding template. Field security helps employees edit metadata fields by only showing the fields relevant to them. For example, the Mark Anthony Group enforces security at the field level. Employees are able to edit only the fields that enable them to fulfill their particular job function. Fields that are not relevant to a particular user (such as fields corresponding to other reviewer actions) are hidden. The examples described above can give you some ideas of how an effective use of metadata can help drive business processes within your organization. Even though your organization may not have to deal with the exact business process scenarios described in the examples, it is still possible to find similar elements. Examine those similarities and modify the organization’s solution to fit your specific needs.